Dedicated to academic publication and scientific research, this private organization leads in the field of digital scholarly publications. The institute facilitates its online readers through open access features that enable the students and researchers from all over the world to access, read, and benefit from its research journals. Macrothink Institute (Twitter) realizes that the print versions of scholarly research journals are costly not only to the institute itself, but to the ultimate end users too. Besides, the electronic versions are far better in reach as compared to the print versions. Online scholarly journals are accessible to the masses at a highly reduced cost. The institute also contributes to environment conservation through less paper use. 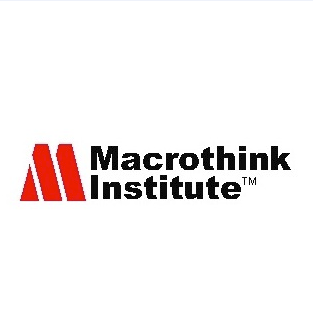 Macrothink Institute provides international exposure to potential researchers as it sponsors their research work. It is indeed a commendable attempt to promote scientific research. There’s no subscription fee for reading or downloading the journals that the institute publishes. More and more publications and research institutes are now shifting to electronic publications because print versions are no longer efficient. Printed journals are costly and do not offer mass coverage. Internet connectivity and a computer device are needed to access these journals. These contain written content, graphics, and media files for better understanding of the readers. Researchers, students, universities, and several other entities benefit from electronic journals. Though some publishers charge a certain subscription fee on annual basis or charge every time you access the publication, Macrothink’s journals are accessible essentially free of cost. In today’s electronic and digital era, no other medium can be as effective and efficient as are the electronic journals. They provide information at a click of the mouse. All the recognized and reputable institutes subscribe to monthly research journals so that their students can benefit from them. Faculty also conducts research through the information obtained from such publications. It is easy and more productive to advance a research topic further, rather than starting from scratch every time. Therefore, availability of journals that contain already conducted research helps students to proceed in a particular research area while the faculty helps them research better. Often times a promising research idea fails to proceed further or attain exposure only because of a lack of resources. However, open access facilitates the researchers as they can access lots of journals for free. Consequently, the benefit is transferred to the entire academic world. Macrothink Institute is indeed playing a vital role in academic and scientific research. Its electronic publications benefit people from all over the world. A strong sense of responsibility of this publisher helps to advance academic research while promoting open access journals.